Nu Skin, a global beauty and wellness company, wanted to bring an end to the time-consuming and never-ending task of manually drawing org charts in PowerPoint, and move on to fully-automated chart creation based on HR data from SAP. With Ingentis org.manager, HR staff, managers, and employees can now retrieve up-to-date information from the company’s organigram in real-time. Thanks to its ease of use, the org chart’s two unique views are accessed daily for individual research as well as for HR meetings. 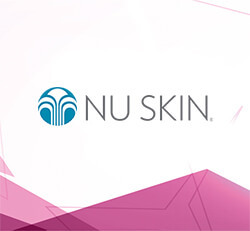 Founded more than 30 years ago, Nu Skin Enterprises, Inc. develops and distributes innovative consumer products, offering a comprehensive line of premium-quality beauty and wellness solutions. The company builds on its scientific expertise in both skin care and nutrition to continually develop innovative product brands that include the Nu Skin® personal care brand, the Pharmanex® nutrition brand, and most recently, the ageLOC® anti-aging brand. The ageLOC brand has generated a loyal following for such products as the ageLOC Youth nutritional supplement, the ageLOC Me® customized skin care system, as well as the ageLOC TR90® weight management and body shaping system. Nu Skin sells its products through a global network of sales leaders in Asia, the Americas, Europe, Africa and the Pacific. As a long-standing member of direct selling associations globally, Nu Skin is committed to the industry’s consumer guidelines that protect and support those who sell and purchase its products through the direct selling channel. More information is available at nuskin.com. Nu Skin is comprised of both global and local entities and has salespeople across the globe. In the past, the global HR team would visualize team structures and hierarchies of each market in PowerPoint. Changes were incorporated monthly due to the amount of time required to create all of the charts. With nearly 5,000 employees, this procedure proved overly time consuming and inefficient. Since there was no way to automate the creation and update of organigrams in PowerPoint, each change to the HR data in SAP HCM had to be manually transferred and drawn out. As a result, the chart was often not in accord with the actual status quo of the HR data, making it hard to review structures or plan the assignment of members of the workforce. This also lowered confidence in the accuracy of the org charts in general for business purposes. Recurring mid-month requests for corrected org charts further illustrated the need to find an automated approach that would help ensure complete data accuracy for real-time org structure visualization. The introduction of Ingentis org.manager immediately resolved Nu Skin’s primary issues: The software is SAP certified and seamlessly integrates with SAP’s HCM system. Data updates and transactions made in the HR system are available automatically, providing real-time visualizations of all global markets and their employee structures. The new org chart is searchable and easily printable, providing a comprehensive overview as a basis for workforce planning discussions and creating more efficient workflows for the HR staff. In order to share the company’s organigram across the entire organization, it is also published on the intranet. The feedback has been overwhelmingly positive with employees routinely accessing the org chart for individual research or during meetings to review organizational units. The visualization of KPIs like “Head count” are of particular value when evaluating org structures. Based on the specific use case required, Nu Skin has two unique views that visualize the organizational structure: one offers a quick overview of the hierarchy structure including general employee data like name, position and contact details. The other is a more detailed view with additional employee data, including employee profile pictures.